A royal servant holds a solar eclipse observed in the region around Babylon on a cuneiform tablet. two weeks before his untimely death. 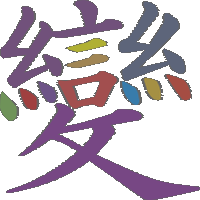 Song Gaozong Nandu Yangtze River arrived in Jiankang, told the book "is willing to use the new moon, than the fan"
1153/0527：Malcolm IV becomes King of Scotland. 1199/0527：John is crowned King of England. between the Archbishop of Bremen, Gebhard II, came to the Lippe and rebellious Frisian families. Der römisch-deutsche König Karl IV. heiratet in Ofen nach einem päpstlichen Dispens durch Innozenz VI. die 14-jährige Anna von Schweidnitz. Zwölf Tage nach der Niederlage in der Schlacht bei Frankenhausen wird Thomas Müntzer, einer der Bauernführer im Deutschen Bauernkrieg, im thüringischen Mühlhausen hingerichtet. Organiser François de Vendôme et Marie de Rohan, ainsi qu'un certain nombre de nobles français, II parmi Ihnen Claude de Bourdeille Charles de L'Aubespine et Henri de Lorraine, duc de Guise, la cabale des Importants, un conspiration contre le Premier Jules Mazarin. L'intrigue, cependant, a révélé. 1668/0527："flying serpent," the so-called dragon of Henham. Several of Henham's inhabitants in Uttlesford, Essex, are reportedly seeing a "flying serpent," the so-called dragon of Henham. the Habeas Corpus Act, which puts an end to the royal right of arbitrarily arresting human beings, and continues to affect the laws of many states, right up to the European Convention on Human Rights. Austrian forces defeat the French at Winterthur, Switzerland. 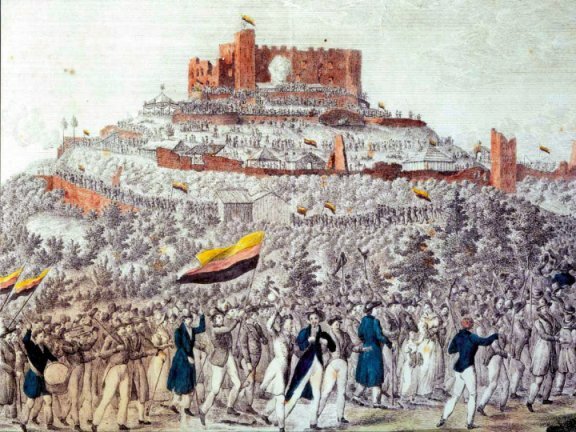 1807/0527：Napoleonic war: Dansich's Prussian garrison surrenders. Weil die bayerische Obrigkeit in der Pfalz politische Kundgebungen verboten hat, wird ein „Volksfest“ organisiert. Etwa 30.000 Menschen finden sich zur Veranstaltung ein und reklamieren Freiheits- und Bürgerrechte. Mit schwarz-rot-goldenen Trikoloren wird auch der Wunsch nach nationaler Einheit signalisiert. Yishan in the British surrounded by Guangzhou City, was forced to sign the British compensation to the "Guangzhou peace". on Palermo, Sicily, as part of the Italian unification. The first group of Dorsland trekkers under the leadership of Gert Alberts leaves Pretoria. Der Gothaer Kongress endet mit dem Zusammenschluss des Allgemeinen Deutschen Arbeitervereins und der Sozialdemokratischen Arbeiterpartei zur Sozialistischen Arbeiterpartei Deutschlands. 1883/0527：Alexander III is crowned Tsar of Russia. China outbreak of the Boxer movement. Die 6. Sinfonie („Tragische Sinfonie“) von Gustav Mahler wird im Essener Saalbau als Höhepunkt des Tonkünstlerfestes des Allgemeinen deutschen Musikvereins unter Leitung des Komponisten uraufgeführt. the day of establishment of Khilafat in Islam Ahmadiyya. Pope Benedict XV promulgates the 1917 Code of Canon Law, the first comprehensive codification of Catholic canon law in the legal history of the Catholic Church. The NC-4 aircraft arrives in Lisbon after completing the first transatlantic flight. The 1,046 feet (319 m) Chrysler Building in New York City, the tallest man-made structure at the time, opens to the public. The inventor Richard Drew receives a US patent on the tape he invented, which markets 3M. The Swiss scientist Auguste Piccard starts with his assistant Paul Kipfer in a stratosphere balloon at the place Gersthofen to the study of the higher air layers. Both hit the previously unreached height of 15,781 meters. The balloon goes down the Gurgler Ferner in Obergurgl. The maiden voyage of the RMS Queen Mary takes place from Southampton over Cherbourg to New York City. is signed into law requiring the registration of securities with the Federal Trade Commission. The Walt Disney Company releases the cartoon Three Little Pigs, with its hit song "Who's Afraid of the Big Bad Wolf?" The Supreme Court of the United States declares the National Industrial Recovery Act to be unconstitutional in A.L.A. Schechter Poultry Corp. v. United States, (295 U.S. 495). to pedestrian traffic, creating a vital link between San Francisco and Marin County, California. 99 soldiers from a Royal Norfolk Regiment unit are shot after surrendering to German troops; two survive. Massacre du Paradis (exécution sommaire de soldats britanniques par les SS). U.S. President F.D. Roosevelt proclaims an "unlimited national emergency". The German battleship Bismarck is sunk in the North Atlantic killing almost 2,100 men. Auf den „Reichsprotektor“ Reinhard Heydrich wird in Prag ein Attentat verübt. 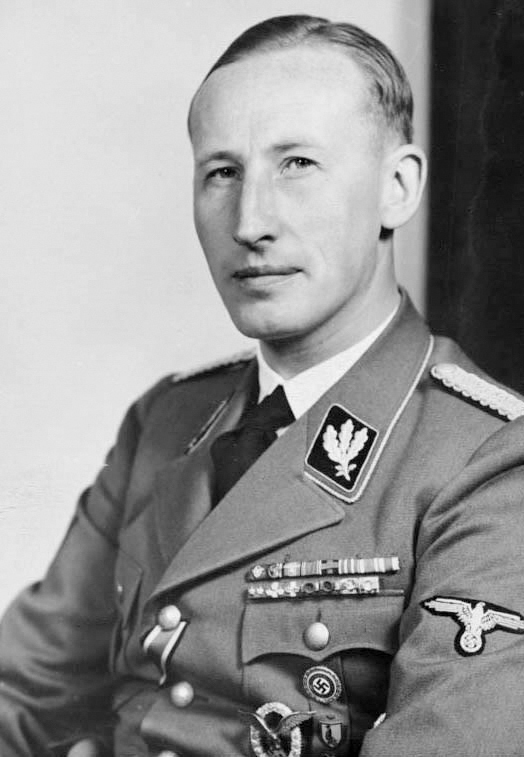 In Operation Anthropoid, Reinhard Heydrich is fatally wounded in Prague; he dies of his injuries eight days later. 1943/0527：Réunion du Conseil national de la Résistance. Explosion de la bombe à hydrogène ; « opération Redwing, évènement Zuni », le 27 mai 1956. C'était la bombe n°73 sur les 1054 bombes que les États-Unis ont fait exploser de 1945 à 1992. 1958/0527：USA、F-4 Phantom II makes its first flight. removes President Celâl Bayar and the rest of the democratic government from office. With the help of the poly-U experiment, Heinrich Matthaei demonstrates for the first time that a "code word" (the codon UUU) for an amino acid (here: phenylalanine) is in the DNA. American warships begin the first bombardment of National Liberation Front targets within South Vietnam. The South Korean army is brutally and bloody crushing the Gwangju uprising, which resulted from an escalating demonstration against the military dictatorship, the imposition of war law and against the university closures. According to the source, between 154 and 2,300 students and citizens left their lives, countless were injured. After twenty years of exile in the USA, the Russian writer Alexander Solzhenitsyn returns to his homeland. the Russian President Boris Yeltsin meets with Chechnyan rebels for the first time and negotiates a cease-fire. Kobe Continuous Child Killing Case: A broken head of a 6th grade elementary school student in Suma Ward, Kobe City, is found with a crime statement by "Saka Ki BaRa Seito". Members of the Islamist separatist group Abu Sayyaf seize twenty hostages from an affluent island resort on Palawan in the Philippines; the hostage crisis would not be resolved until June 2002. The 6.4 Mw Yogyakarta earthquake shakes central Java with an MSK intensity of VIII (Damaging), leaving more than 5,700 dead and 37,000 injured. A large-scale corruption case was discovered at the International Federation of Football Associations (FIFA), and several stakeholders were arrested and charged. Barack Obama is the first president of United States to visit Hiroshima Peace Memorial Park and meet Hibakusha.